During the Second World War, the bombing of cities by opposing countries was commonplace. The goals were both the destruction of industrial potential and the death of civilians. 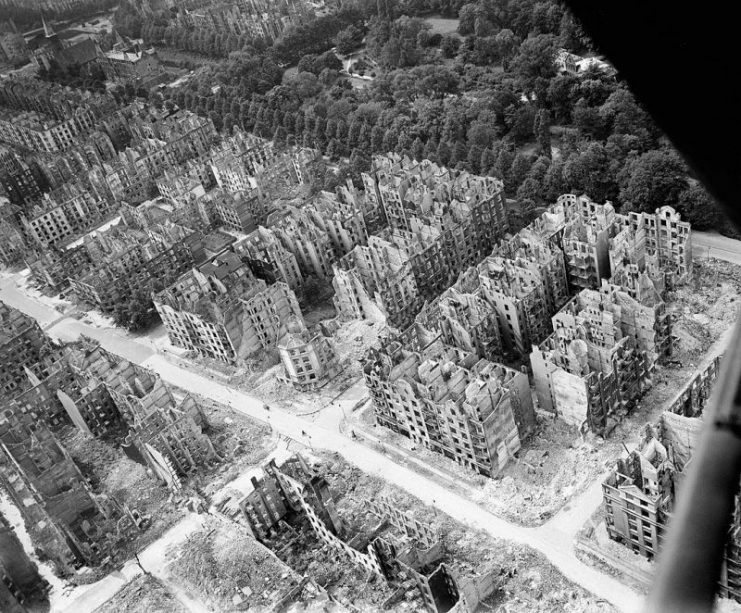 The air raid on Hamburg, Germany’s second largest city, known as Operation Gomorrah, was a catastrophic bombing that created one of the largest firestorms. 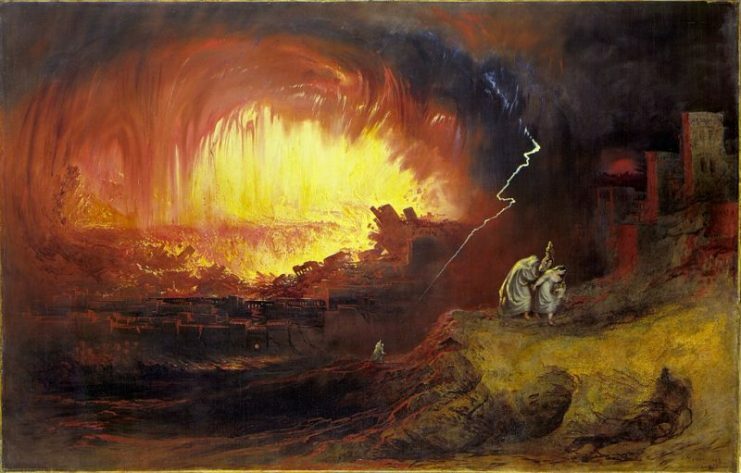 Artist John Martin’s concept of the Biblical destruction of Sodom and Gomorrah, which inspired the operation’s name. From the beginning of the Second World War, Hamburg was repeatedly subjected to air attacks as it was a large industrial center that had a port and a transport hub. Oil refineries, shipyards, and a significant number of military-industrial facilities and enterprises were located in the city. 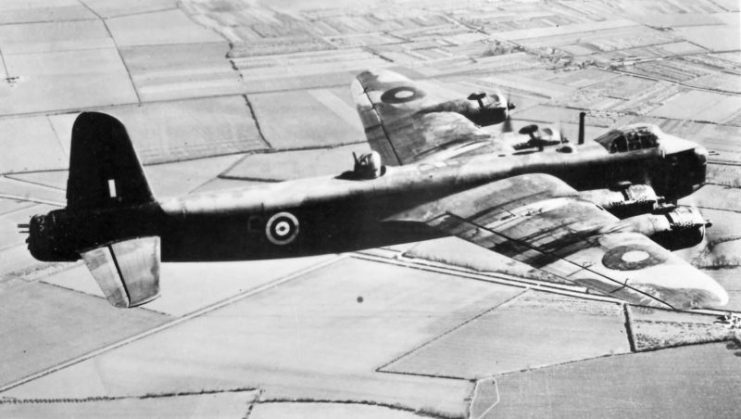 Royal Air Force (RAF) Bomber Command (including RCAF, RAAF, and Polish Squadrons) was to carry out night raids. The USAAF Eighth Air Force took on the day raids. Sir Arthur Travers Harris, who was Marshal of the RAF, believed that the destruction of German workers, their families, and housing was as effective as the destruction of industrial enterprises. 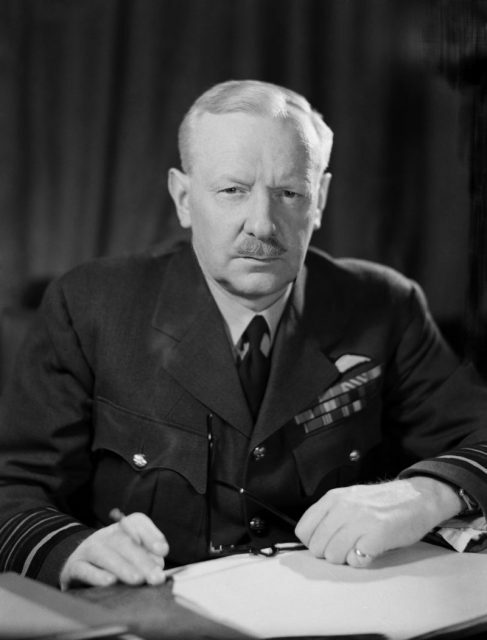 On May 27, 1943, Harris signed Bomber Command Order No. 173 on the operation codenamed Operation Gomorrah. At the same time, British aviation for the first time applied chaff (originally called “Window”) which was a new tool for creating strong interference with German radars. Pilots dispersed a cloud of tiny pieces of foil which confused any radar tracking the plane. On July 15, at a meeting attended by Winston Churchill, Harris received permission to use chaff during the attacks on Hamburg. 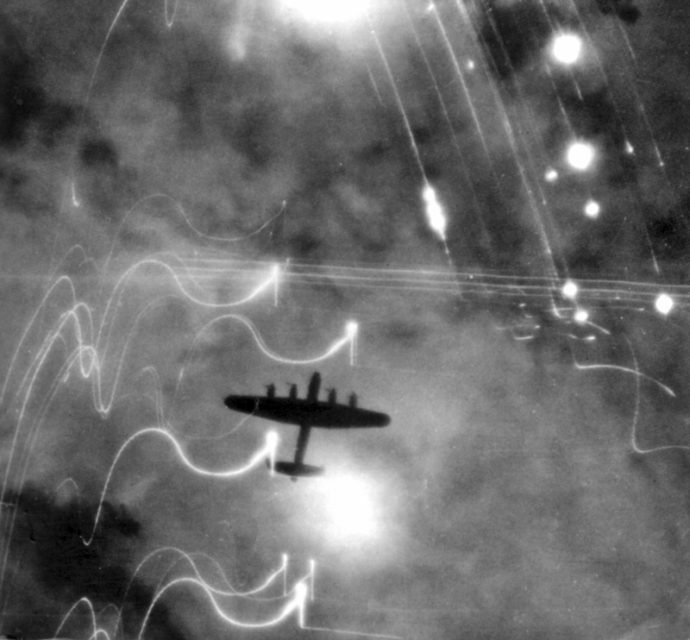 On the night of July 24-25, at about 0:57 AM, British bombers began an attack lasting about 50 minutes. The raid was carried out by 791 aircraft. In total, about 2,400 tons of bombs were dropped. The high-explosive bombs that destroyed the roofs of houses were dropped first, then incendiary bombs were dropped. The night raid on Hamburg of 24/25 July 1943. About 40,000 German firefighters were available but were unable to move through the city streets. The fires from this airstrike continued for three days. Thanks to the use of chaff, the loss of the British Air Force amounted to only 12 aircraft. 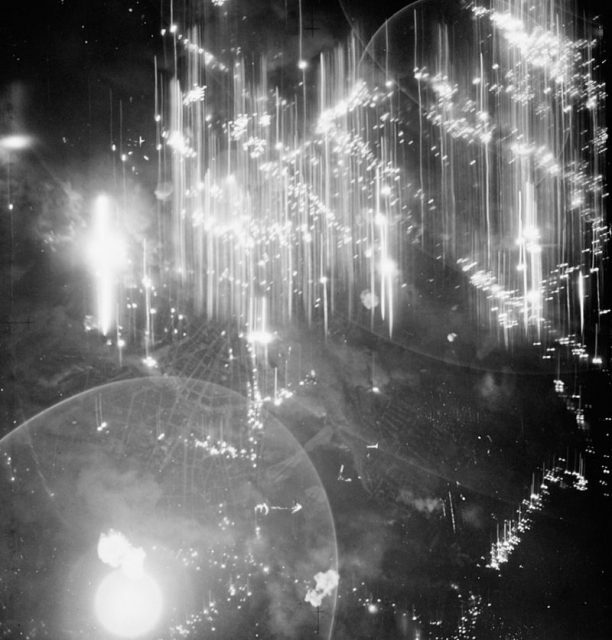 “It was quite a surprise to us when the first Hamburg raid took place because you used some new device which was preventing the anti-aircraft guns to find your bombers, so you had a great success and you repeated these attacks on Hamburg several times” – Albert Speer, The Secret War. The second raid was carried out at 4:40 pm by US Air Force bombers. 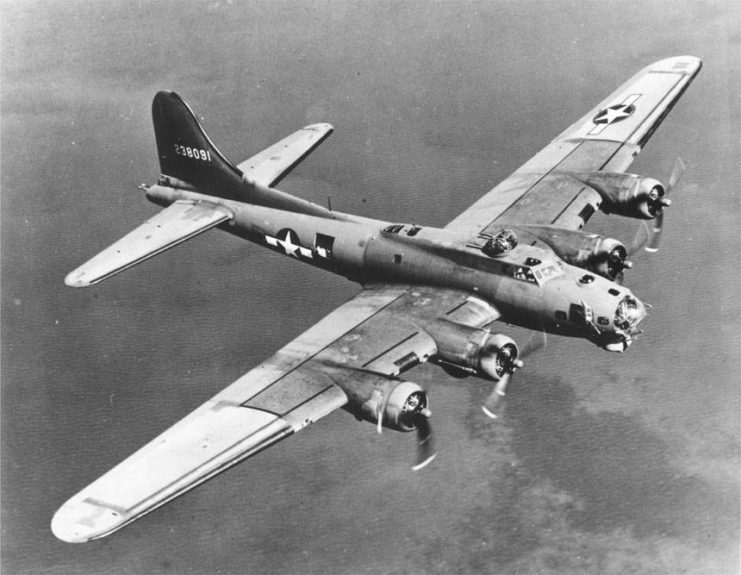 Ninety B-17 flying fortresses reached Hamburg and attacked the aircraft engine factory as well as the Blohm and Voss shipyard. German anti-aircraft installations managed to damage 78 aircraft. 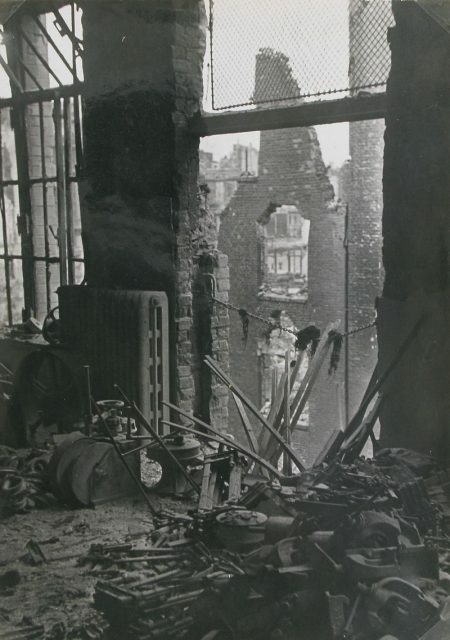 Additional firefighters from other cities were brought to Hamburg, including Hanover, which was also bombed. The next night’s attack on Hamburg was canceled due to smoke problems. Instead, 700 bombers raided Essen. The third raid took place on the morning of July 26th. At 0:20, strong winds raged over the North Sea and there were thunderstorms. Due to this bad weather, only two bombs were dropped on the city. For this reason, this attack is often not taken into account in the total number of attacks. On the night of July 27-28, 787 RAF aircraft (74 Wellingtons, 116 Stirlings, 244 Halifaxes, and 353 Lancasters) bombed Hamburg. The dry weather, the recall of the Hanover fire crews, the restriction on fire suppression (due to blockbuster bombs) and the concentration of bombardment in one area led to a firestorm. “The rain of large sparks, blowing down the street, were each as large as a five-mark piece. I struggled to run against the wind but could only reach a house on the corner of the Sorbenstrasse… [We] couldn’t go on across the Eiffestrasse because the asphalt road had melted. There were people on the roadway, some already dead, some still lying alive but stuck in the asphalt. They must have rushed onto the roadway without thinking. Their feet had got stuck and then they had put out their hands to try to get out again. They were on their hands and knees screaming” — Kate Hoffmeister, then nineteen, on the firestorm in Hamburg in 1943. A Royal Air Force Avro Lancaster, dropping its load over Germany. A thermal cyclone with a diameter of 3.5 kilometers (2.1 miles) with winds up to 240 km/h (150 mph) was formed. The temperature in the center reached 800°C (1470°F), and about 2 million tons of air was involved in the combustion process. All wooden, paper, and fabric items instantly burned. High temperatures turned lead and aluminum to liquid. Steel, which is ductile, became deformed under its structural loads. Bricks slowly melted and transformed under their own weight. People in bomb shelters were suffocating due to lack of oxygen. 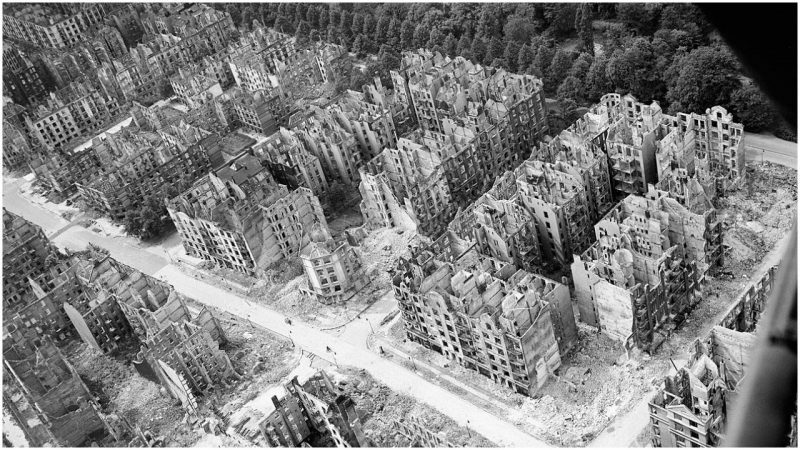 On July 29, more than 700 Air Force bombers attacked Hamburg. The raid planned for August 3 was canceled due to bad weather conditions. The last raid of Operation Gomorrah took place on August 3. On that date, 740 bombers took off, but unfavorable weather conditions prevented most of them from reaching the target. Operation Gomorrah took the lives of more than 42,000 people. It injured and burned about 37,000 people and made about a million civilians homeless. During the operation, the Royal Air Force made 2,355 night sorties, and the US Air Force 235. About 3,000 aircraft dropped close to 9,000 tons of bombs, destroying more than 250,000 buildings. Read another story from us: Did The US Government Ever Plan to Use The Atomic Bomb on Germany? In total, about 74% of all urban buildings were destroyed. The docks and four main shipyards were seriously damaged. Before the end of the war, 69 more airstrikes were carried out on Hamburg. “I [had] said, in those days, in a meeting of the Air Ministry, that if you would repeat this success on four or five other German towns, then we would collapse.” – Albert Speer, The Secret War.